Tiffany Toribio placed her hand over her 3-year-old son's mouth as he slept on this playground bridge in the middle of the night. She held him down until he stopped squirming. Toribio then performed CPR on her son Tyrus who started breathing again. He was shaking, his eyes were rolled back. She then suffocated him again. She placed her hand over his face until he stopped breathing. Only this time she didn't revive little Ty. She dug a hole with her hands in the sand underneath a swing set, put Ty in it and buried him. Albuquerque Police Department Chief Ray Schultz said, fighting back tears. "Nothing motivates law enforcement more than when a child is made victim. We feel a special connection with those who are often too young or too small to protect themselves. ... Words cannot describe the emotion felt by all who wear the badge. ... The mood here at APD is comprised of great sadness and unspeakable horror. How could a mother do this to her child? No excuse will ever satisfy our curiosity, nor will it quell our disbelief....."
Albuquerque Police Deputy Chief Michael Castro, in a comment on ABQjournal.com. 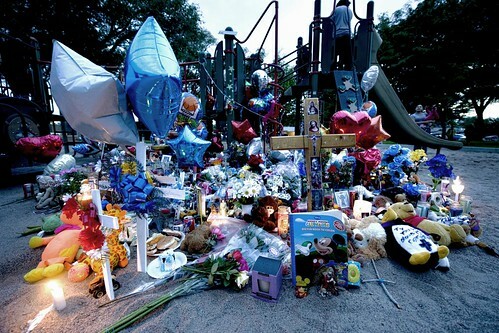 Dozens gather to mourn Tyrus. 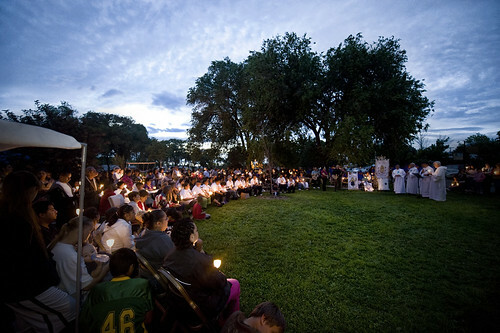 A rosary was held Saturday night at the Albuquerque park where a boy's body was found after he was killed at the hands of his mother. Tyrus Toribio rest in peace. I have been struggling for sometime for a nice photo portfolio online and I think this one might work. What do you think? Portfolio HERE. Yesterday I did the chola shoot with model Jennifer Heart. She is the most beautiful cholita I have ever seen! Can you believe this girl has three kids? First set we shot on a wall on Central and Edith. She was a good sport, very easy to work with and I actually had fun shooting her.